Care to care for Critter? as the day is long. He justs wants to be part of your pack! training for the next matter of weeks by one of our expert trainers. Yay for Critter. He will teach everyone else manners! 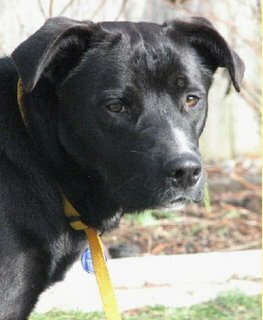 A nice lab mix and danged sweet! Jax is back home where he belongs! Yeah! It was really great to get Jax back to his home. He was at Doggy Disneyland at our house but I know he missed his family. Mom found my posting at the Kent Animal Shelter and I found hers at the Sacajawea Vet Clinic. 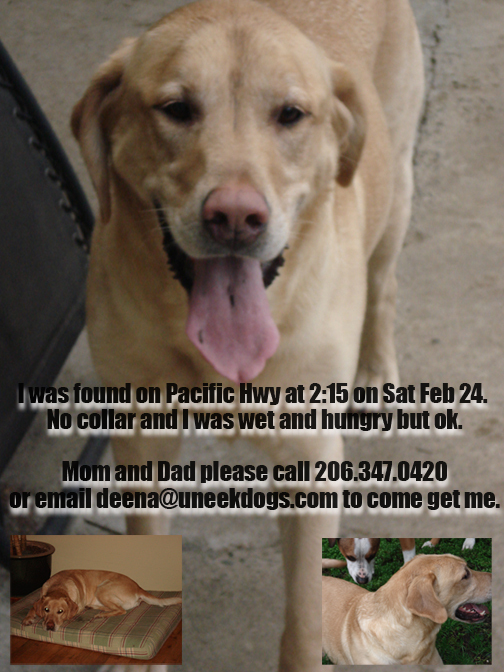 Jax was found on Pac Hwy and 312th. His home is off Dash Point Rd. That is a long and treacherous road for a dog to travel. Much traffic and dangerous. Please folks, if you find a dog or see one running please try to get them off the road. Save them! I went door to door and someone said, oh yeah, I saw that dog earlier running up the road. It hurt me to think they did nothing to get him off the street. A dangerous road with no sidewalks. Again, please try and save them! The best way to start a search is to see if they are chipped and to go to the vets in a wide area. They may know the dog or be able to put up a posting. Then the animal shelter near you. They have a book for lost and found dogs. Thanks to our community of help, Jax is home. Lou and Sara need homes. Don't so many! Another misunderstood situation just because of the breed. Placed in a shelter he will be euthanized without a chance for adoption. Read brief history below. Unneutered male Pit Bull under a year old. Friendly, just a kid. Has lived with a chi and kids. Being given up because his people don't have a fenced yard and neighbors are afraid of him even though he has done nothing. I did talk to his person about the choke chain on him when he is in the back of the car, though I didn't get the feeling they cared. Please contact Linda at HmnSoc@aol.com if you can take this dapper boy or know someone who can. Linda, HappyPaws Farm, Arlington. 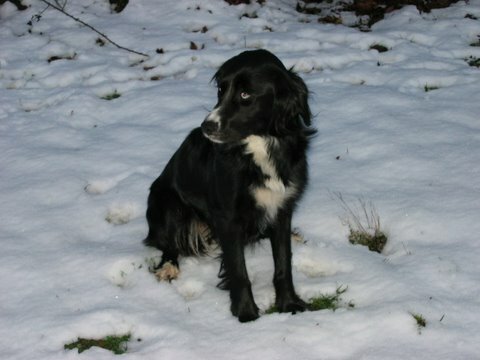 My name is Sara and I am a Brittany Spaniel & English Setter & Bully Mix. I am one year old, have all my shots, spayed and all ready to go to my new home. I get along great with cats, kids and all. With other dogs I need to be introduced properly. I am 60 lbs and am housebroken and walk well on a leash. My personality is lively, happy , cuddly, loving, very sweet, nice manners and very tolerant. I want to only please you and I want to be with you as much as possible. For the first 5 months of my life, I was tied on a 3 foot chain. My former owners were caught beating me up and some one heard me yelp & cry & called Animal Control. I now live with a wonderful foster home and they are teaching me how to love and trust. I also take Benedryl for allergies and other than this I am a very healthy dog. Please email Ginger and tell her you want to meet me. 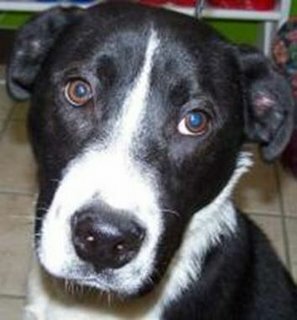 Shortly after he was adopted, sweet and shy Scooby got loose from his adopters and has not been seen since. He was last seen in the Canyon Park area of Bothell. 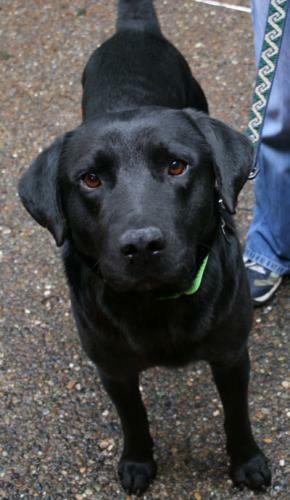 Please call (425) 488-4444 or e-mail reception@homewardpet.org if you see him anywhere! He is very shy and takes time to warm up. 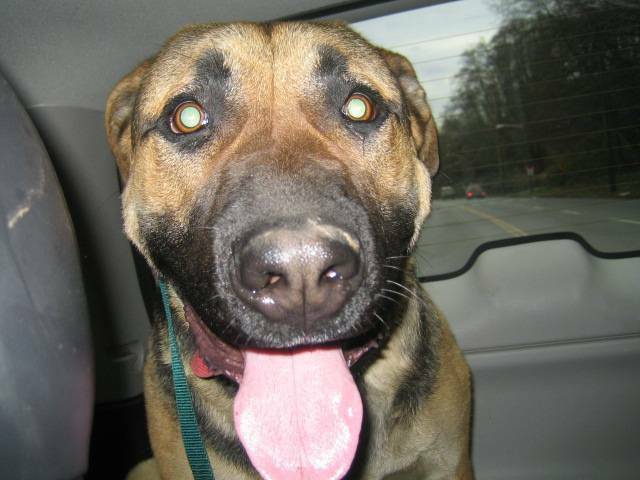 Scooby was recently neutered and weighs approximately 55 lbs. He is not wearing a collar (he slipped out of his new collar) or any tags and is not microchipped. We want to get him home! Hello and welcome to the launching of Rags to Wags. What a stellar idea. Jackie of Nope It's Soap! is at it again. Being creative and environmentally friendly. 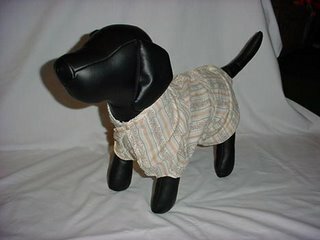 One of a kind doggy fashions made from 100% recycled people clothes. 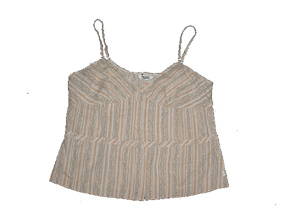 Vintage tees, fashionalbe coats and chic sweaters, handmade! Each piece is made only once, no mass production! Check back often as their collection changes frequently! 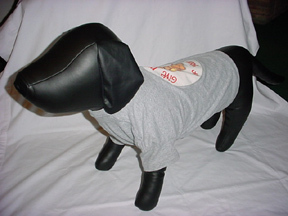 Visit their website www.ragstowags.com or call 1.800.231.0175 or find them on our links page! Old and Young, We All Need A Home! 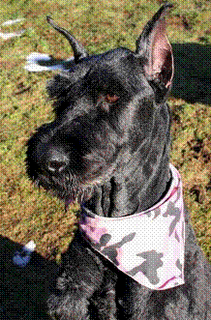 My name is Boo and I am a 9 yr old Giant Schnauzer. 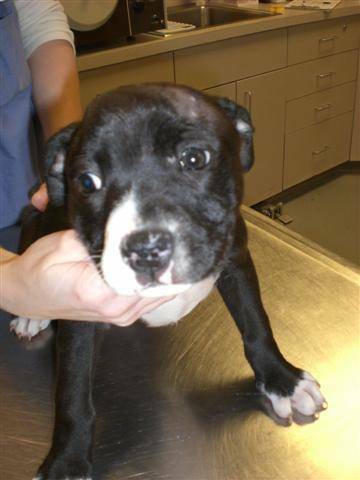 I am spayed, all my shots are up to date and I am ready to go to my new home. I love to go on walks and I am very loving, happy dog. 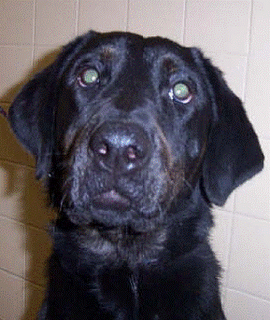 I am 85 lbs, very tall for this giant schnauzer breed, and I will get very attached to you if you adopt me. I should not be around kids, cats and other dogs...I just want to be with my humans. I am a bit needy and I love to chew on tennis balls and stuffed toys for entertainment. 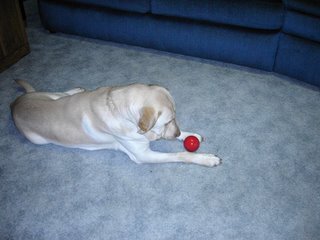 I have had some incontinent issues that are maintained with pills and frequent potty breaks, as I am older and a little thin I need to live inside, a laundry room would make a great room for me while the humans are busy.I need to have a fenced in yard so I can get as much exercise as I can. I would be perfect for a retired person or someone who is home all the time. My owner had a stroke and is in a nursing home. I miss him so much but Ginger promise to find me another forever home soon. Sara is trying to find fosters for the three cuties below. They CANNOT go to a shelter or they will destroyed because they are a pit mix (yes, it’s that discrimination again). Please remember to forward only to those you know and trust. Thank you. A Great Pit Bull and a Great Dane, Can We Help? efforts must be exhausting, and I am not a "pass the buck" type of rescuer. chiefly a cat rescuer/foster home. 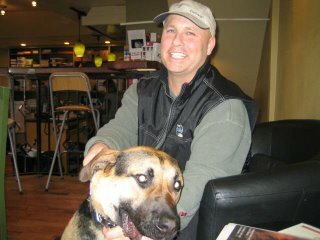 walks, took him to Spokane with him when he was undergoing cancer treatment. call me and leave a message (425) 344-3052. 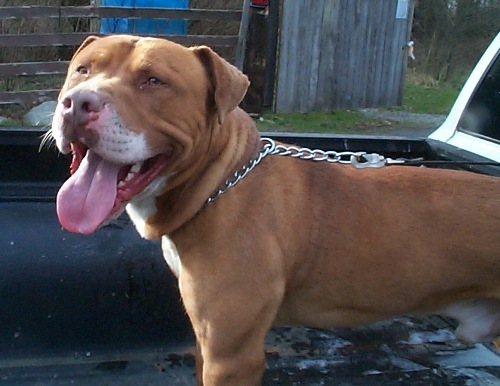 "Let's bring Tyson Home ! 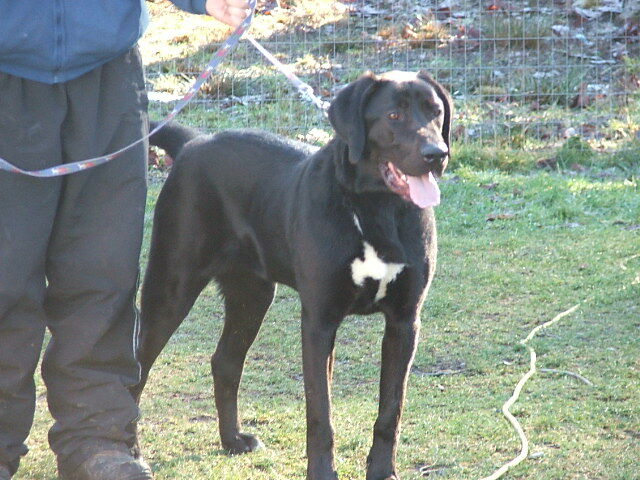 LOST GREAT DANE: Great Dane, 4 year old neutered male, BLACK with small white patch on chest. Tall 39" and slim ~ Weighs 150 lbs, very friendly, answers to name of "TYSON". Got loose from west Marysville area (Lake Goodwin / Firetrail Rd. /Seven Lakes) on Friday afternoon. Wearing grey collar with tags. Can we get Marli a Home To Be a Star In? "No one wanted me so I sat in the shelter for three long months!" Who could not want this face! What a huggable fellow!!! I am a 11 month old Labrador and Hound Mix. from adults, kids & other dogs with proper introductions. I have not been around any cats yet. I weigh 60 lbs, housebroke, sweet, loving, friendly and happy. I am an active girl and I am very eager to please you. I am now being treated for demodectic Mange and it is not contagious & I am improving every day. Please contact Ginger and tell her you want to meet me. Updates On Our Rescue Efforts! Frankie and Roxy have been fostered! I’d like to introduce John Panchot, dog boarder and trainer. He was introduced to me by Linda McCoy when I needed assistance with one of my rescues, Frankie (pictured with John below and will be looking for a home soon after his lessons in doggy boot camp). John boards and trains for a living in Fall City. He sometimes helps to find homes for the rescues that cross his path. Currently John has 5 rescues in his care that he is not being compensated for. Rescuers know how hard both emotionally and financially it is to take on the care of these special animals. John is left to tend to them indefinitely. He feeds, boards, trains them and sometimes has to take them to the vet. 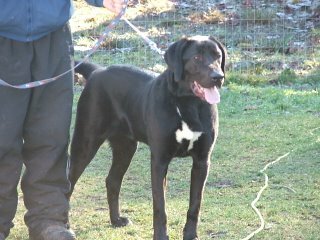 Additionally, as part of the training he uses his own dogs who sometimes get injured in the process which is another expense. We that rescue must have a plan for the animals we take on and not assume that someone else will deal with their needs. It is not enough to get them out of their abused and/or neglected situations. Anyway, with John's permission I am sending out this request on his behalf as he doesn't have e-mail right now. If anyone can please help either via financial donation of any kind or quality food and supplies for the animals it would surely help - especially for the rescue dogs. 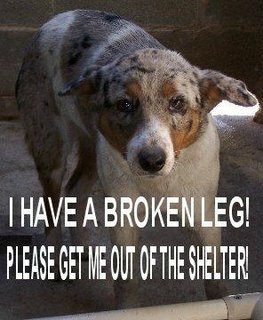 If you currently have a rescue dog with him, at the very least please help provide for the food or work out something so the full burden is not on him. Remember, he cannot take on new rescues on a discounted or fee free basis until the current dogs are fostered or adopted out. That isn't fair on the new dogs that need him urgently and in some cases, is literally a matter of life and death. Please do not use him as a foster home. Before donating any type of food or supply, please contact John directly at (206) 409-5209 and ask him what he may need. I know he can always use crates but I'm sure there are other items that he can use. 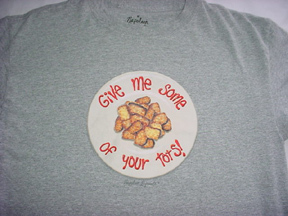 He stays away from the low quality food brands that serve only as food fillers and offer very little to no nutrition. Again, it's best to ask him directly so you know he will put your donation to use. If you prefer to make a financial donation you may send it to: John Panchotat P.O. Box 1102 - Issaquah, Washington 98027 and write on the check "E-MAIL REQUEST". John will be very thrilled and appreciative by any show of support. We need to support ALL of those involved in saving animals and we each have a part to play. Each rescuer, foster, vet, trainer, donor and volunteer is critical to the welfare and future well being and happiness of the animal. Burn out comes quickly in this so let's try to avoid losing more good people by working together and sharing the load, sorrow and success. to her new home tomorrow! on earth and will revel in it. GO Roxie! This girl is an absolute beauty and was saved by our amazing foster Sara, as Kahlua was within hours of being euthanized. She is six years young, spunky and cuddly! 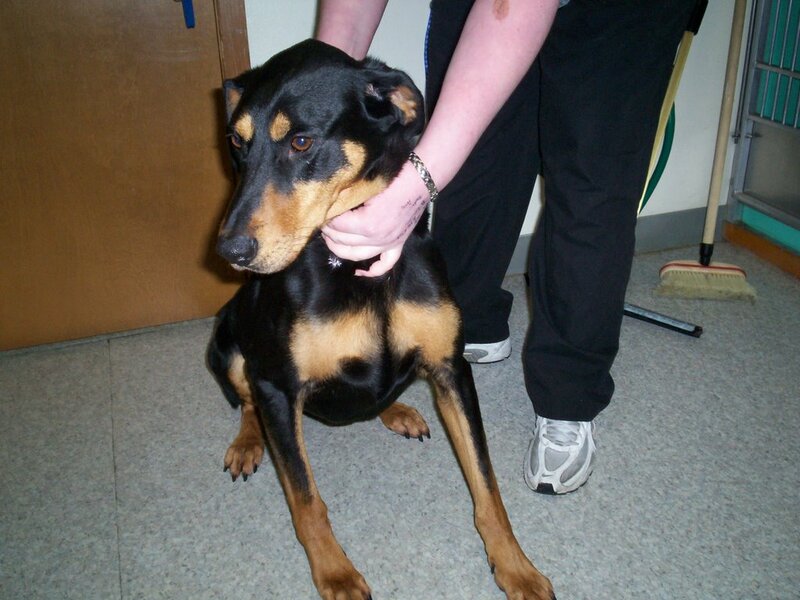 Kahlua is a dobie mix, black and tan, soft and shiny. She gets along with most doggies but seems to have too much interest in cats. :) She LOVES kids and would be great as part of any family. 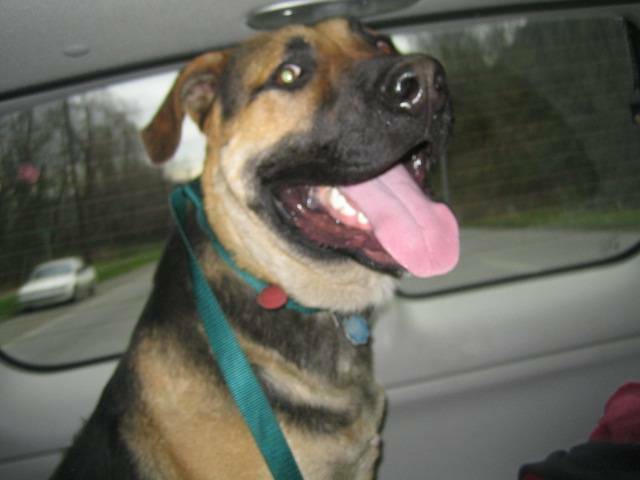 Kahlua is willing to please, very loving, loves rides in the car and is trying very hard to not pull on the leash. Some training will help this smarty learn quickly and she will make a great life-long best friend. She weighs just under 60 lbs. A loving home with consistency will help relieve any nervousness she may have about folks leaving and she already is improving quickly in this area. Kahlua is a good jumper so a fence higher than 4 ft. desired. Must fill out application, adoption fee. She is WELL worth it! Please pass this along. 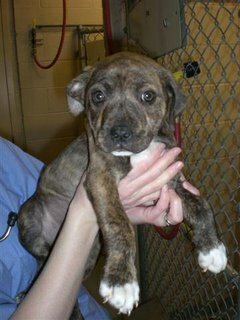 If interested, let me know - perrin@noa.nintendo.com or Sara, her foster mom, visionsdog@yahoo.com. 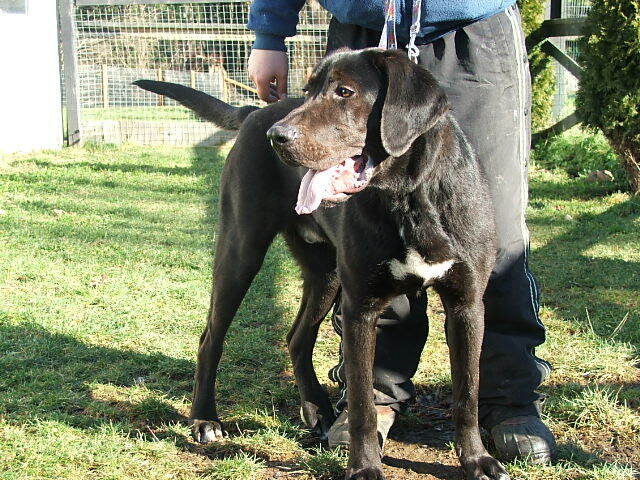 Rescue Needs...They call him Bruce There is Skye too! There is a sweet male 1.5 yr old red min pin mix at the tacoma hs. He was in a run with 2 aussie puppies and was doing fine. She looked at us with hopeful brown eyes amoungst his scabs and missing hair. He has been there for at least 3 weeks and been passed by so often he barely lifts his head anymore to hope. He has a skin condition -probably mange for which any stress probably makes it worse. Bruce needs a foster home which can treat him for the skin condition kept away from other dogs at this time. Please pass this on. Bruce's number at the shelter is #384269. Their number at the shelter is 253.383-2733. Thank you for your open hearts and arms. Other: LOVES to run!! She is an indoor pup that just wants to be touched all the time. She loves to cuddle, sleeps in bed with us. Has lots of stanima, great snow dog, loves to hike. She is leash trained but never did obedience school. she will get car sick if she uses a puppy seatbelt/harnness. Please help us find a good home for her!!!!!! Martini Needs A Foster Home! This is Martini. 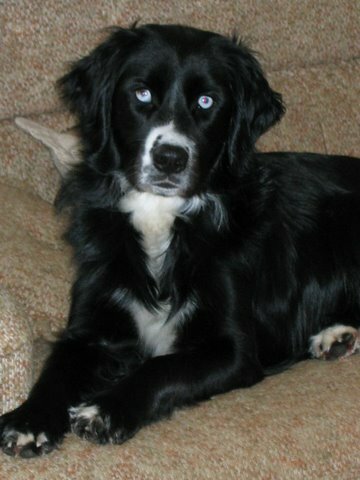 He is only 6 months old, a border collie mix, and lonely as all get out. 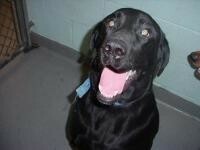 He is locked in the shelter and is scheduled to be put to sleep, which breaks my heart and I am sure breaks yours. We desperately need a foster but would really love a home for this boy. So many of you have called, donated and reposted for Keera and Rosco and I cannot thank all of you enough for everything you have done to create awareness for their desperate situations and to raise funds for them. 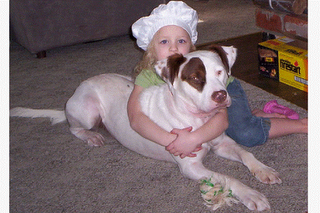 As many of you know, both Keera and Rosco were pulled from the shelter by Jen Nall and are being fostered in her home. Both have been to the vets and need extensive medical treatment. Keera has a broken leg and will need surgery to correct that. 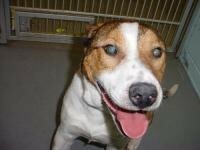 Rosco not only is severely emaciated, but is strong heartworm positive and has a severely injured eye. 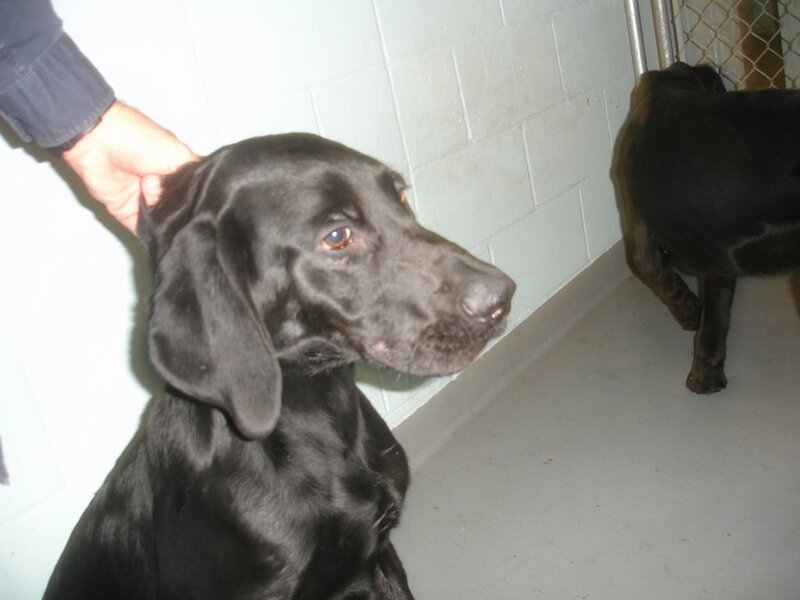 Lost and Found Dog Rescue of Newcastle, DE has offered to take Keera and Rosco (whom they will now call Conall) in and they will receive all their necessary vet care while at the shelter. This shelter is a 501c non-profit organization that has helped many other special needs dogs in the past. 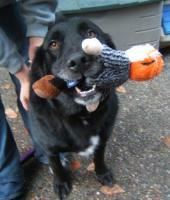 Many of you may remember Barney (now Austin) a GS mix who had a severely injured/infected leg. Lost and Found Dog Rescue also took in this boy. He is still with them. Their vet uncovered the full extent of Austin’s injuries when he examined him (including a broken back). Austin has been undergoing extensive vet treatment and therapy thanks to Lost and Found Dog Rescue. There is already a transport scheduled going up the east coast this Sat/Sun and we are putting Keera and Rosco on that transport so they can get to Lost and Found Dog Rescue and begin there treatment ASAP. As of right now there is about $550 from paypal for Keera. Many donators have emailed us that they are sending donations via check through the mail; however, we have not received any checks yet so we cannot add that to the total received yet. To date the vet appt for Keera in which they x-rayed her leg was $118 and Rosco's vet bill Thursday was $145. All donations to date and any additional donations received will be forwarded to Lost and Found Dog Rescue, the rescue that is receiving Keera and Rosco. Is It Your Time to Rescue A New Best Friend? Sherman, a 10 yr old long haired Cocker Spaniel & Dachshund Mix. I am neutered, up to date with all my shots and ready to go home with you! I am 25 lbs, I get along great with people, other dogs, older kids and I ignore all cats. I am a very sweet dog and would like to be in a nice, gentle and calm environment. I would be a great dog for an older person, a senior citizen, stay at home mom or a retired person! I am housebroken and will pace by the door to be let out when I have to go outside. I love doggy parks and walks around the block with you. Adoption Fee: $ 200.00 ~ to help cover my dental bill. 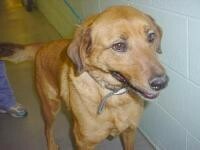 My name is Pele and I am a 3 yr old female Yellow Labrador Mix. comes near me ~ but now I am getting much better. Once I learn to trust I open up and become a super great happy dog. I am very sweet, and always giving kisses and snuggling. I love doggy parks and car rides...we can have so much fun together! Please Email gingerluke@comcast.net for application so you can meet me soon! 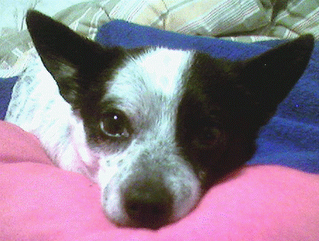 My name is "Heely" and I am a 3 yr old Chihuahua and Heeler Mix. I weigh 14 lbs but could definitely lose a few pounds!!! 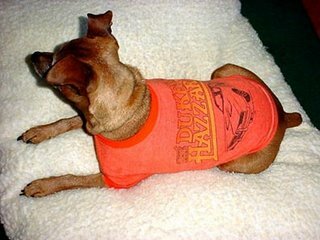 I am part of Gingers new efforts to save small dogs from CA. I will be neutered, have all my shots and I am a very healthy dog. I get along great with other dogs, cats, kids and people of all ages. dog in my next forever home. I am sweet, loving, loyal and I love to cuddle. super fun and my foster mom said I did very well. When it was time to go home I just followed her right back into the car! 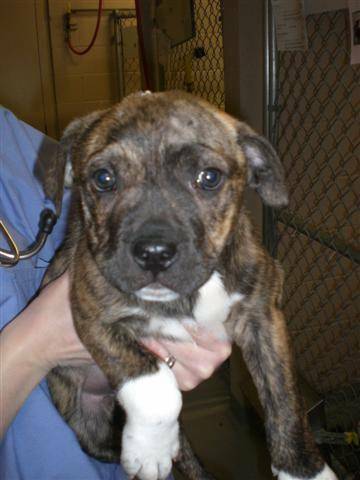 *Adoption Fee: $ 425.00 ~ Transported from out of state. You must be a responsible animal owner and have quality time for these dogs. Our Mission is to find the very best forever home for every dog under our rescue. KEEP AN EYE OUT FOR BANDITO! I lost my Baby, h e is a Chihuahua and I miss him more than anything! 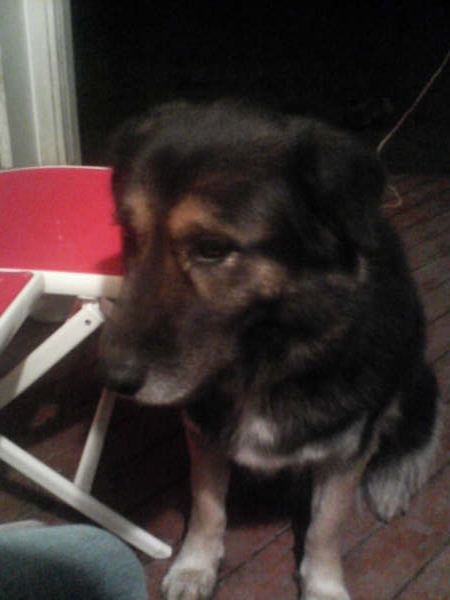 Bandito was lost last Sunday about noon in the Crossroads area of Bellevue. ANIMAL SANCTUARY NEEDS YOUR HELP ~ ALL ANIMALS NEED NEW HOMES! I have a small animal rescue sanctuary and just found out I have a serious medical condition. This condition is starting to debilitate me and will be costly to treat. I will need to rehome the animals here in my care soon, as I won't be able to care for them correctly. We have many different species of both farm and indoor animals, including reptiles. No dogs, one cat, Chameleons ( jacksons and sunburst veiled), Chinese water dragon, llamas, sheep, goats, a pot bellied pig, and parrots. If you are looking for new friends please email me and let's see if we can find a someone to suit you. There will be interviews, home visit and vet reference. 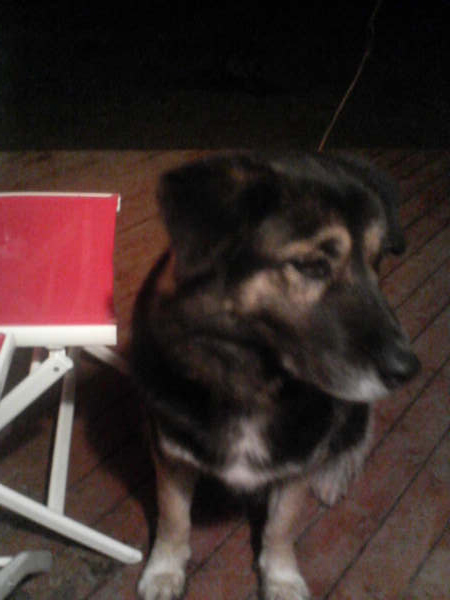 My name is WOLKE and I am a 9 yr old German Shepherd Mix. I am spayed, weigh 50 lbs and I am the most sweetest dog you will ever want to meet. I am very gentle, mellow, a couch potato who will loves to play. I am extremely well behaved, obedient and submissive to humans. I want to please and be loved. I am losing my hearing and going deaf but this does not stop me from being a loving dog. I am housebroken, I love kids, other dogs and CATS !!!! Please email Ginger and let her know that you would like to adopt me. Code Enforcement / Animal Control -We currently have two dogs that we are sheltering and are due for adoption, first is a Jack Tussel Terrier or Rat Terrier he is older and nuetered and still a little scared of everyone but he is not violent at all. 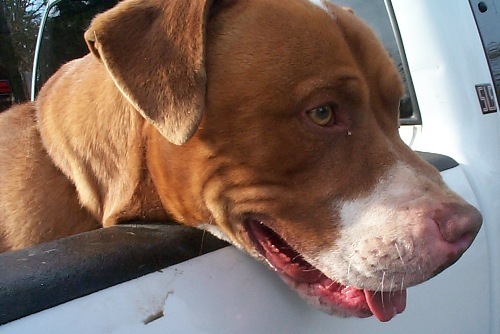 Second is male Pit-Bull 1-2 years old who is very energetic and is very friendly. If there is a pit-bull rescue that you know of that I could contact that would be great as well. Hopefully we can help these two little guys and find them a home. She has a broken leg and needs surgery ($1200-$1500). 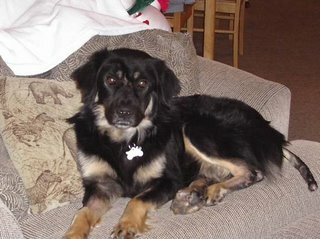 We have a rescue that is willing to take her, but we have to raise the funds for her surgery first. I AM BEGGING FOR DONATIONS TO HELP THIS POOR GIRL GET HER SURGERY. 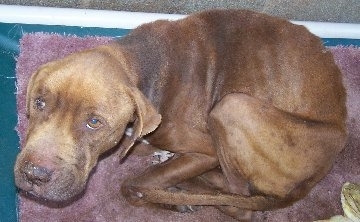 She has been at the shelter for a week with this broken leg and if we do not raise funds, she will be euthed. PLEASE FIND IT IN YOUR HEART TO DONATE - NO AMOUNT IS TO SMALL. She deserves a second chance and we need your help to make that happen. We have only raised $150 towards her surgery. She needs so much more. A FRIEND HAS FOUND 2 PIT BULL BROWN BRINDLE PUPPIES. THERE IS ONE MALE AND ONE FEMALE (ABOUT NINE WEEK OLD). THEY WERE CHECKED OUT BY THE POUND AND THEY SAID THEY WOULD NOT TAKE THEM (THEY WOULD BUT THE WOULD BE UTHINIZED). IF YOU KNOW OF ANYONE WHO WANTS MORE INFO, OR WHO MAY BE INTERESTED IN THEM (ONE OR THE OTHER) PLEASE LET ME KNOW. 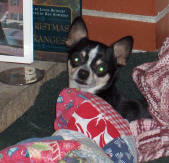 Frankie our special rescue effort needs a new foster or better yet permanent home! Frankie is in need of a family that can train him and devote time to teaching him all the ways to be great at living with others. Being abused and stuck on a leash, he never got the chance. He is a good dog and quick learner. Please make calls and pass along emails to help us find him his forever home. Just look at this face! Sweet Maddie needs a new home. Jake, a wonderful yellow lab, was found in the Packwood area the weekend of December 9. He was injured and starving (literally skin and bones). A lost and found ad was placed but no one claimed the dog. 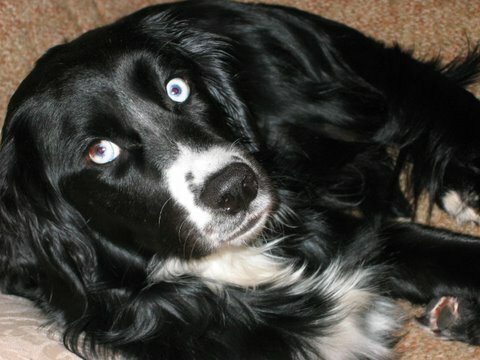 Geri Gibson's family rescued Jake and took him to a veterinarian for exam and vaccination. 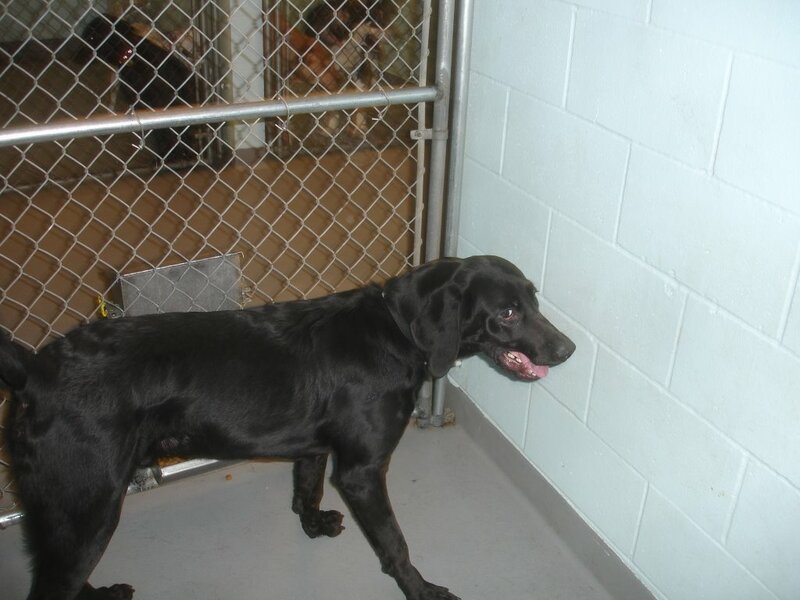 Jake is approximately two years old and has a severe knee injury requiring expensive surgery. We have contacted WSU's veterinary program and Jake's injury does not qualify for their Good Samaritan Fund. The estimated cost at WSU is $2000.00 as compared to $2700.00 quoted by a private veterinary practice. This dog has an amazing personality that wins the hearts of all, including non-dog lovers. Without the surgery he will be in pain and crippled for life. He is currently living with Marcia Halstead and has won her heart as well. Marcia contacted a nonprofit organization for animals, Kindred Souls Foundation, for support. We are using their $10.00 cookbooks as a fund raiser for Jake; 100% of the proceeds go to Jake's medical costs. Also, it is possible to make a donation to Jake through Kindred Souls which is tax deductible. Again, any contribution made goes directly to Jake's medical costs. Will you consider helping Jake? You can purchase a cookbook or make a donation through Geri or Marcia. They put down 50 little dogs every other day!!!! All under 20 lbs and they only have 24 hrs to live. A brand new project...want to help? 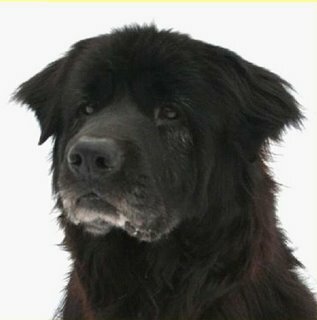 My name is Bobby and I am a 7 yr old Newfoundland & Labrador Mix. I am neutered, weigh 60 lbs, current with all my shots & a I am a very happy dog. 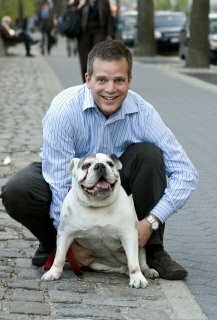 I get along great with other dogs, cats, kids and people of all ages. I am very friendly, smart, easy going, happy, nice to be around, good manners and I am not hyper but full of fun energy. I love walks and doggy parks and was a indoor dog all of my life. My owner had me for 6 years and one day decided that he no longer had time for me anymore. I promise I will be the best dog you will ever have and I will love you unconditionally. Please email Ginger and let her know you want to meet me soon! 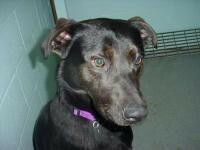 My name is Ruffi and I am a 10 month old Labrador Retriever Mix. I am 40 lbs, neutered, have all my shots and I am a very gentle dog. I get along great with people of all ages including kids. 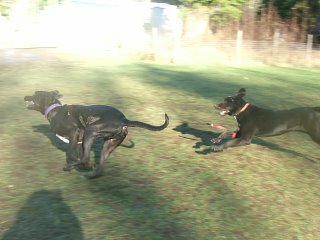 I also love playing with other dogs but have not been around cats yet. I was already beat & abused at such a young age. I have a wonderful foster mom who is teaching me how to love and trust again. Love, kindness, patience is what I need mostly and obedience school would be great for me to go to. I am very sweet, a little apprehensive, very loving, kind and cautious. I like calm voices and loud voices scares me still. I am getting better each day and I am not aggressive at all. I am a needy dog but I am still a puppy yet. I need a loving home with lots of stability & love and I also require a fenced in yard. Tank Won The Doggy Lottery!!! Tank found his forever home and what a great home it is! Way to go and you just never know when it is your time to come across mans best friend. How great for Tank! Just look how happy! Our darling Petunia died at home this evening. She put up a very good fight against her cancer. The past few days, she began to noticeably slow down. We are fortunate that her final act was to save us from the agony of having to choose when to end it; she did it on her own, comfortably ensconced in an armchair, at about 7 p.m. this evening. Here's a toast to our girl, who gave us so many moments of laughter and love. The picture was taken on Central Park West this past July. I first got a chance to meet Petunia long distance when I found Guistamos. They supply our tomato sauce for Uneek Treats Pizza Crust. I loved her instantly as did everyone she met. We put her on our dog page straight away, where she will remain in tribute. 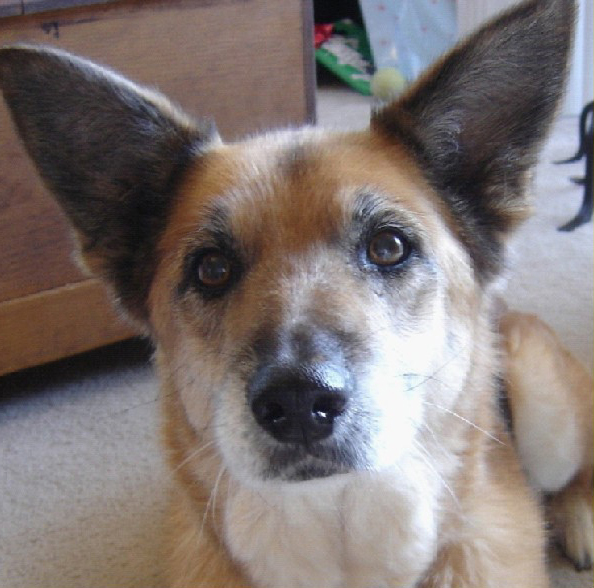 There is nothing tougher than to lose your precious best friend. My heart goes to Scott and Andrew. I feel grateful that I got to smile at the stories of her. She is truly a Uneek Dog! Petunia you are beloved, Deena. If We Could Reach The Number of Homes It Takes! Please look at these adorable dogs sitting at the shelter waiting for someone wonderful like you to have a heart and go pick them up. Please send this wide and far to everyone you know..friends, co workers, neighbors, family etc etc etc. We are sending out a plea to help all the attached babes, with absolute deadlines of Monday morning. We are needing and hoping loving homes can email me today and help put them into warm homes tonight. If you apply to foster, we will work very hard to place the dog into an adoptive home as soon as we can. If you apply to adopt, we will be ever grateful for the dogs and on behalf of all of us! Please pass along and email me so I can share their status with you if you are interested in foster or adopt. Thank you! • Hunter: golden mix? Scared fellow! • Cyrus: 10 month-old lab/greyhound mix. Adorable boy. 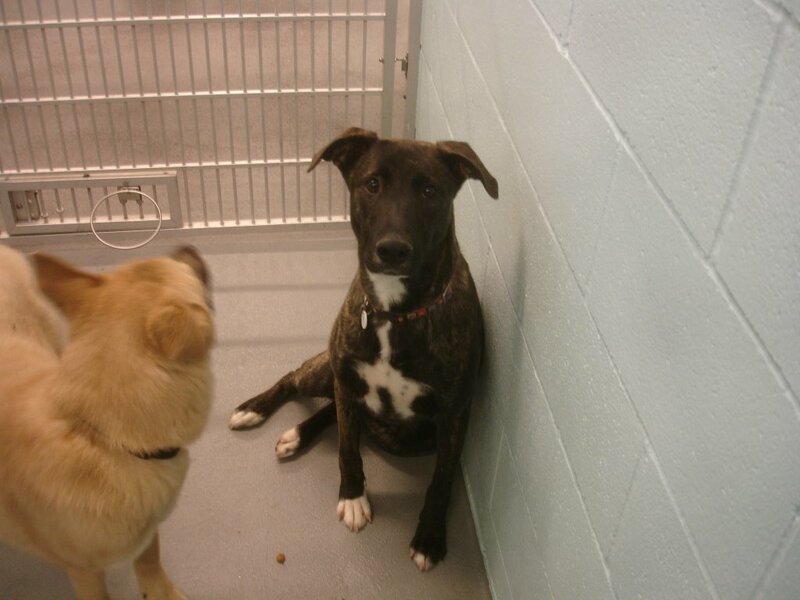 • Roxie: Dollface, mellow girl - shep/lab mix. 6 yrs old. •Tucker: Plain ol cutie pie lab mix. 1 yr old.